Earlier this week I took a quiz Who Is Your Style Icon? and I was surprised when I paired with Kate Moss. She has never been someone on my radar when it came to fashion. To be completely honest the only time Kate Moss would cross my mind would be when I would pick out one of the Rimmel Kate Moss collection lipsticks. Now that being said after getting that result, I looked up her style and I was surprised. My style is actually very similar to Kate Moss'. I'm someone who typically steers away from colorful clothing, the majority of my clothing is white, black, grey, navy. Before I took this quiz I would say my personal style icons would be Jackie O, Lauren Conrad, Olivia Palermo. 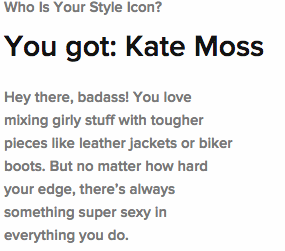 However, after taking the quiz I would be foolish to not add Kate Moss to my list of style icons. Who are some of your style icons? Take the quiz and let me know who you get paired with. 12 comments on "Kate Moss "
I love Kate Moss shes defiently one of my style icons. I got Stevie Nicks one the quiz which is right up my ally. Great post! 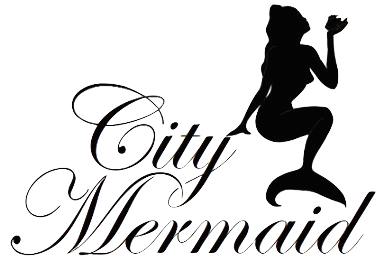 Your seriously one of my fav blogs to read. You never disappoint. Thanks so much Sophia! Thats so sweet!! Love that you're enjoying it. I love her simple, casual style - always looks gorgeous! I think Kate Moss is so underrated. I love her! Her styule is fantastic! I want to take this quiz soon!!! :) Have a great weekend!